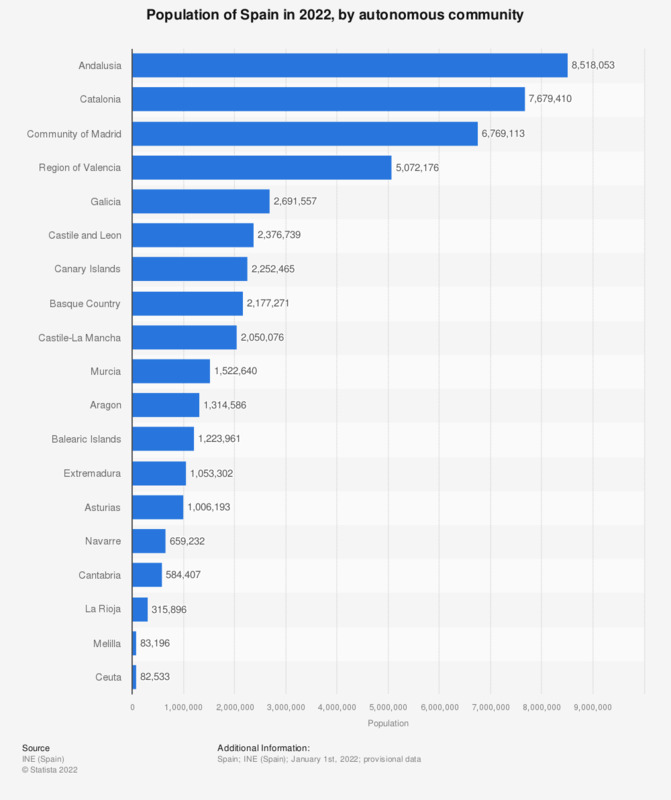 This statistic shows the population of Spain in 2018, by autonomous community. As of January 2018, Andalusia was the most populated autonomous community in Spain, with a total amount of approximately 8.4 million inhabitants. Catalonia and Madrid followed closely, with populations amounting to approximately 7.5 million and 6.5 million respectively. Population in Spain has also been analyzed by gender and autonomous community.